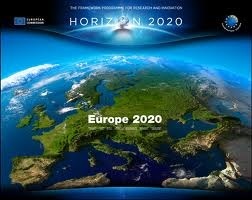 In the past two weeks I’ve been looking at plans for Horizon 2020, contributing to the consultation and sounding out experts from across Europe. We have plenty of time to look at it. It will launch only once the budget has been voted for. The earliest we can expect a launch will be at the end of 2014. But consultation is only possible now for 1 month to try and effect it’s construction. 1) Make it properly SME friendly. If you’re small you don’t want your best chance of funding to be an enormous integrated project headed by one of the 5 typical system integrators in Europe ( or nearby). Most innovation comes from SMEs and often it comes from their own development. So quicker smaller solo or small group SME schemes please! 2) Some of the recent calls have been so heavily over subscribed that there is merely a 10 or 20% chance of success. This follows a very heavy application process. So please, let’s have a two stage process. A short and simple application, and more rigour demanded at the later stage of the application. 3) Less prescriptive calls. All projects are judged on their ability to advance the state of the art. Almost by definition this rules out the radical and can only accommodate the incremental innovations. Broad areas of societal challenge should be the limit of a call description. 4) More initiatives that encourage bottom-up innovation. The funding from the commission is already creating networks of excellence, but simple event led innovation incubators and networks would bring out much more innovation. 5) Broad trends like volunteer data need to be targeted and encouraged. The networked society is still an under utilised asset in Europe. 6) Initiatives to break the US dominance in social networks and the centralisation that happens to our data over there. 7) Initiatives that support growth markets where we used to be a world leader (mobile gaming, computer games etc. )… And those where we are… (Location Information for the growing context aware application market). 8) Initiatives that scale up the top class innovations from home countries rather than the default of selling out to non-European corporates. See Productiv in the UK. In this way we keep the essential skills and the greater part of the returns within Europe. 9) The EC needs to track the effectivity of these investments more effectively. How many businesses have prospered from post project activity? What contribution to the GDP? Actively engage the project community and use the dialogue to find “what happened next” and use this to quash the cynical. 10) Embrace the crowd funding trends. Why let a small group of experts vote when a large group can vote with their own funds? These were my 10 for an improved funding structure in Europe. What are yours? Dbyhundred has had a very busy end of 2012 and beginning of 2013. 1. Dbyhundred is managing the marketing, PR and General Management for start-up, SplashMaps. In an beautifully coordinated piece of marketing we ran a campaign of Radio and TV PR for the business which uses crowd sourced and open data to make maps for the REAL outdoors. The campaign was entirely “below the line”. It was tailored firstly to attract investment, achieving its target of £8000 from a community of 101 backers, and secondly to boost sales of the first two mapping areas, achieving the target of £2000 worth of sales and new distribution channels. 2. With Productiv we are helping with the industrialisation of low Carbon technology. David has taken the role of Innovation Manager. The plan is to boost the effectivity of the community of members, technologists and suppliers and users of Low C automotive technology. 3. Market research by dbyhundred has helped shape a business model for a new business developing safety systems for vulnerable road users. This bespoke work has now recommended targets and approaches for developing and implementing the technology and defining it as a proposition. “David’s work has given me amazing insight and confidence in my market strategy”, says Mike Walker, CycleSafe CEO. 2013 is busy, exciting and full of potential at dbyhundred! Please contact us for bidding, project management and location technologies. 07876 390 656. It was great to spend the day with my colleagues, beneficiaries and sponsors of the highly successful Ideas In Transit project – A project that studied, encouraged and funded innovations in transport developed from the “bottom-up” by users. 5 years of effort against a deliberately woolly scope was a leap of faith for the sponsoring TSB, EPRSC and DfT. Certainly it would have been easier to just give the money to a large system integrator company to make another hopeless on-line application for catching trains. Some would have said safer too. But how would such a predictable “top-down” approach have dealt with the almost instant emergence of the disruptive technologies that arose within weeks of the project inception? The iPhone, the App store and the catch-up rivals at Google completely changed the landscape to favour the target groups. Because the project scope accepted that there were big unknowns “out there” we designed the project to observe this changing use of technology, now in the user’s hands, and how it influenced behaviour. This helped define the most effective interventions that could be made to support the “little-guy” innovators. Mission Explore increased kids’ engagement in their environment and use of the national cycle network by offering adventurous challenges unique to each location. CycleScape that appears to harness the inner monster within each of us cyclists by providing a common platform for campaigning. Sustaination creates a food enterprise network based around a dating site for food businesses (those that grow, those that sell and those that transport). Most of these ideas tap into that spare mental capacity that people now appear to have for reporting, capturing data and socialising on the net. None of these ideas would come from a collective of agencies and large commercial companies and logistics experts. The essential ingredient in each is a heavy dose of passion which the presenters had in spades during their 5 minute pitches. So what do the sponsors get from this project? A nice set of references? a very nifty logo and brand name (… you guessed it…again one of mine ;-))? No. What this project has equipped our sponsors with is a PROCESS. Tried and trusted, developed over years, refined from previous initiatives and now responsible for the new businesses returning honest tax money to Vince Cable. 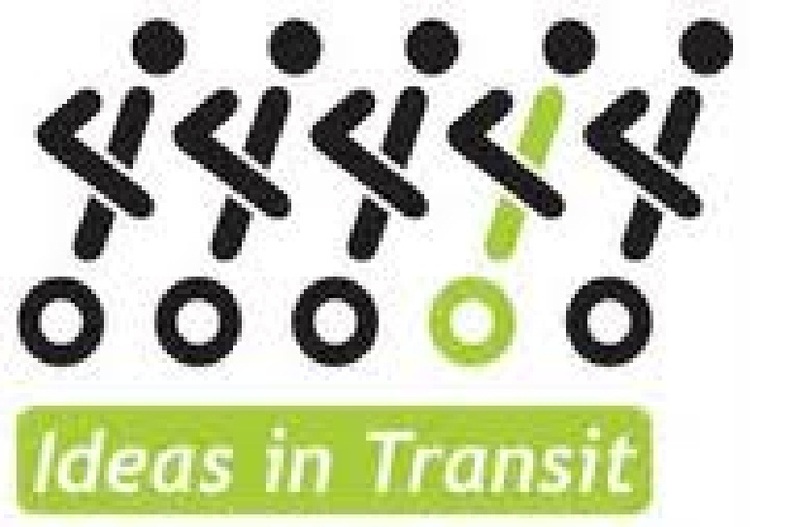 Ideas in transit is an extendbale set of interventions; creative problem solving methods proven to work. This can be standardised, grown, franchised and exported. Thank you Ideas In Transit; this is surely a sustainable outcome we can all be proud of… but more importantly take advantage of to survive the next big disruptions. More good news for a common geographic reference across Europe as the EC invite EuroGeographics to negotiations in September. The ELFI (European Location Framework I) proposal achieved one of the highest possible scores at the bid stage. With 14 out of 15 possible points there appears to be little that the commission would need to change to this bid. David Overton at dbyhundred is very proud to have been Bid Manager on this proposal and is delighted to see that it progresses. In parallel (and through some solid coordination) the European Commission are advancing their plans beyond INSPIRE to encourage a common “EU” location framework (EULF) for all public and private sector use under their ISA programme (Interoperability Solutions for a European Public Administrations). Previously INSPIRE has been targeted at the Environmental community, but this development cements the location information industries importance at the heart of policy making in Europe. David Overton bid managed the ELFI proposal which will be negotiated in September with the EC. dbyhundred is tracking these trends and analysing forthcoming calls and potential tenders to help clients and associates win their bids in this exciting and growing area. Colleagues from FIG (the international federation of surveyors) have boiled down the requirements for a spatially enabled society (that’s one where location is added to existing data to increase its value to society) to 6 handy and simple to achieve elements. The added value can be considered to stem from the ease of integration of information held on land, water and other resources. Such integration makes it simpler to manage a cities, countries or regions resources more effectively. 6.data and information to respect certain basic principles and to increase the availability and interoperability of free to re-use spatial data from different actors and sectors. Well, it’s hard to disagree with all of these, but once you read the full report you realise that the spatial data infrastructure is not just one item, but is the tool to achieve at least elements 2,3,5 and 6. For an indepth experience on setting up such an infrastructure see our work on ESDIN. 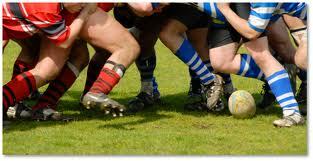 Scrum… when you’re all in the same room! (and blogged!) on Agile PM approaches, I need to get a piece of paper. The piece of paper I am going for is the Certified Scrum Master certificate. How I’ll get there is via UNICOM on a 2 day training course on 11/12th July. During ESDIN we had great success in adapting the Agile PM roles for our geographically dispersed team. Now it will be interesting for me to see how it runs with us all in the same room for 2 days! UNICOM have a great reputation and when even the most proficent “natural” Scrum Masters are finding the course of benefit, I had to take part. Many thanks to those who have advised! In the three years since launching dbyhundred there has been little “down-time”. I am sure many people experience this if you work for yourself or for someone else. The work takes over. You pull-out all the stops on one piece of work whilst chasing the next. INSPIRE conference 2011 … hope 2012 is as fun! With the Innovation Leadership Forum I learnt about the space between thoughts. And I’ve been visualising ever since as a potent route to creativity and innovation. 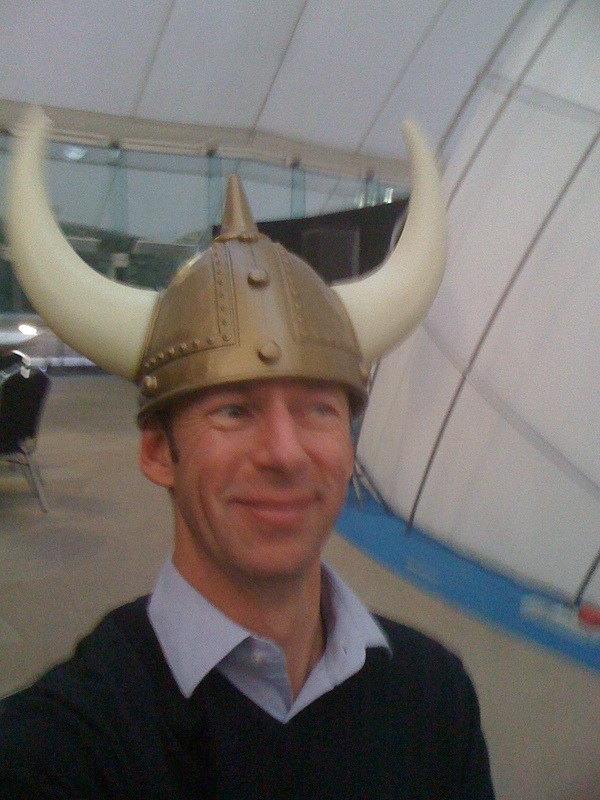 Interestingly with the ILF I developed my Viking approach to innovation… and there I was at last years INSPIRE conference… dressed to slaughter surrounded by my Scandinavian colleagues. 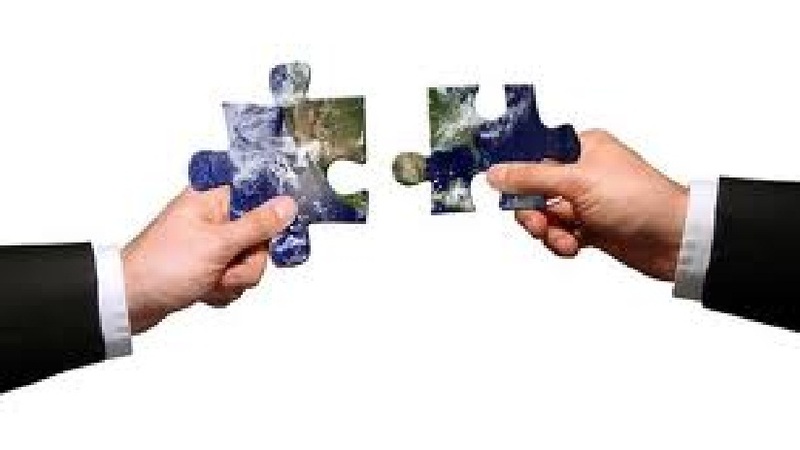 Having finished 2 large contracts at the same time (European Commission and EuroGeographics), the “space between contracts” seems to offer the same potential. On Saturday I spent the day at a Bloxstore workshop and am proud to announce that I am now a member of their elite team of expert innovators, geospatial experts and self confessed geeks! The proposition is clear, phased and already populated with the best in our fields. It takes advantage of the many now working independently, bringing us together to address important European contracts, offering an SME (Small to medium enterprise) alternative to the large “usual” professional bid chasers. I will be sure to keep you posted as we approach our first successes together!